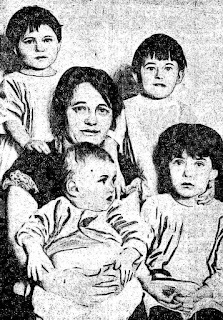 March 3, 1926 -- Three men die, leaving behind three widows and four young daughters, as an Illinois Central passenger train runs against a red signal and collides with a Michigan Central fast freight. M. C. Tobin, the engineer of the I. C. train, is blamed for the wreck. A. E. Cliff, senior vice-president of the I. C., says, "The route through the interlocking plant [at 67th Street] was set 'proceed' for the Michigan Central train and at 'stop' for the Illinois Central suburban train. The interlocking plant was in proper working order, as confirmed by complete inspection and test following the accident." 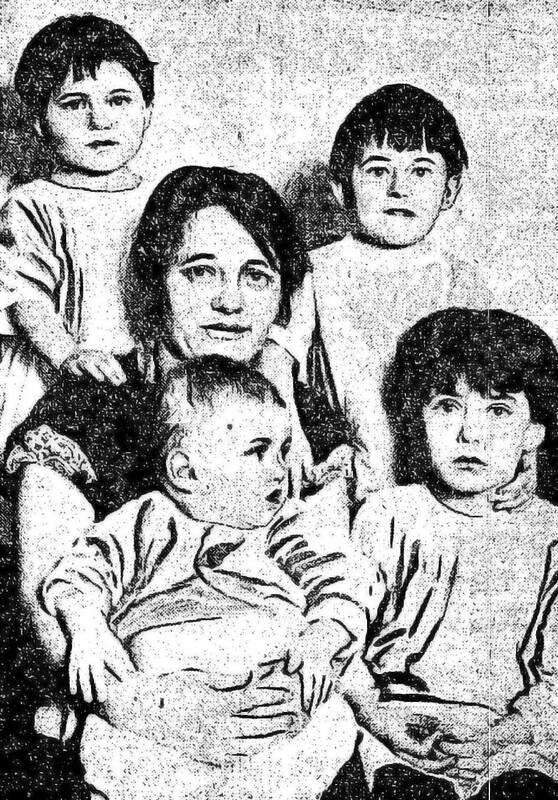 The family of Thomas A Groggier, the train's fireman who died in the crash, is pictured above.